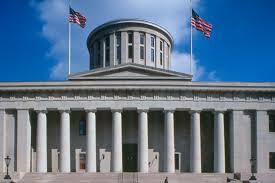 Stand-Your-Ground (SYG) law is on the move in Columbus! I was just there yesterday afternoon meeting with the bill sponsors and working out final details. But we know that Bloomberg’s loyal militants and gun-grabbers in the Statehouse will do everything they can to stall, block and stop Stand-Your-Ground (SYG) from becoming law. In their feverish attempts to block SYG, they ALWAYS manipulate, twist and outright lie about what SYG really does. That’s why I wanted you to know some of the basic facts about Stand-Your-Ground, so that you can help advocate for it to your pro-gun friends across Ohio. And these facts will also come in handy for when we ask you to contact your state representative about SYG – because politicians are notorious for spinning the truth themselves! Below you can see the bill for yourself as well as our Fact Sheet highlighting what this bill would and would not do! Feel free to review it in detail! Stand-Your-Ground law was first passed in 2005 in Florida and was signed into law by then-governor Jeb Bush. The Florida passage of Stand-Your-Ground law triggered a flurry of other states to follow suit and was only slowed in 2012 by the Trayvon Martin/George Zimmerman trial. But in 2016, Missouri became the first state to break the logjam and resume passing Stand-Your-Ground laws. I had the enjoyment of serving as the legislative liaison to the Missouri Legislature for the Missouri Firearms Coalition. It wasn’t easy. And driving back and forth between Ohio and Jefferson City isn’t much fun. The Missouri Firearms Coalition, their members and their supporters passed it through the legislature and had to crank up the pressure a SECOND time to override their anti-gun governor’s veto of the bill! After Missouri, Iowa followed suit just last year in 2017. Being born and raised in Iowa myself and getting my start in gun politics there in 2009, I also had the pleasure of helping Iowa Gun Owners (headed by my brother Aaron Dorr) in their lobby efforts as well! Looking ahead, Wyoming seems poised to pass Stand-Your-Ground law next during their 2018 legislative session as State Senator Anthony Bouchard and Wyoming Gun Owners rally gun owners in the Cowboy State. Having helped in the only two states to pass Stand-Your-Ground law since the Trayvon Martin/George Zimmerman trial, I know first-hand that Stand-Your-Ground doesn’t pass into law if gun owners act like wallflowers or refuse to utter the words “Stand-Your-Ground” like some jelly-spine people here in Ohio would suggest. It can and WILL become a reality here, but only if we can marshal enough grassroots pressure from gun owners like you across the state who DEMAND it! 1. Stand-Your-Ground law extends the removal of a law-abiding citizen’s “duty to retreat” from an attacker to any place that a citizen has a lawful right to be. Current Ohio law only protects a law-abiding citizen if they defend themselves in their residence or vehicle. 2. Stand-Your-Ground law provides immunity from civil action that may arise from a law-abiding citizen’s use of defensive force in a place where they are lawfully present, and establishes the right to a pretrial immunity hearing. Current Ohio law only weakly protects citizens if they use defensive force in a place of residence or vehicle. This bill also establishes the right to a pre-trial immunity hearing and prevents frivolous lawsuits by putting the onus on an accuser looking to overcome immunity protections by requiring them to prove beyond a reasonable doubt in a hearing that the person did not employ reasonable self-defense actions. In addition, and being consistent with the Stand-Your-Ground laws in other states, it awards the defendant costs and fees incurred by their defense in civil action where the defendant was found immune. 3. Stand-Your-Ground law provides immunity from criminal prosecution that may arise from a law-abiding citizen’s use of defensive force in a place where they are lawfully present, and establishes the right to a pretrial immunity hearing. Current Ohio law does not have these protections in place for a law-abiding citizen who uses force for self-defense in a place other than one’s residence or vehicle. This bill also enshrines the right to a pre-trial immunity hearing that requires a prosecution seeking to overcome immunity to prove beyond a reasonable doubt to a judge that a person’s actions were not in self-defense before they are able to proceed with a prosecution in trial. In other words, no more politically motivated trials by anti-gun prosecutors looking to make a name for themselves – or forcing honest citizens to destroy their family wealth to prove their innocence. 4. Stand-Your-Ground law restores the burden of proof to the prosecution to disprove a citizen’s self-defense claim. Current Ohio law states that the burden for any affirmative defense is upon the accused. Current Ohio law does not provide for this, and this is one of the major areas that distinguishes our Stand-Your-Ground bill from previous weak attempts to address Ohio’s self-defense law deficiencies. Myriad of scenarios suggest that the ability to draw a firearm without pulling the trigger would be all the action necessary to end a defensive situation without actually shooting. But current Ohio law does not provide for this and would seemingly open up an otherwise law-abiding citizen to a “brandishing” charge if they do not shoot an attacker. This important expansion would likely save lives. Second, it specifically stipulates that these immunities and protections only apply to citizens who are conducting themselves lawfully. An armed robber, for example, cannot shoot a shopkeeper he was in the process of robbing and claim Stand-Your-Ground protections because he saw the shopkeeper about to shoot him – he was already acting illegally. Third, it specifically protects a citizen from arrest, detention, criminal charges, etc in the aftermath of a person’s use of force by including a “reasonable cause” burden for the investigating authority to overcome. In the aftermath of a self-defense shooting, this clarification would protect citizens genuinely forced to use defensive force from the further trauma of being hauled off to jail. The burden of proving “reasonable cause” in cases where Stand-Your-Ground is invoked as an excuse to cover a crime is no detriment to our more-than-capable Ohio law-enforcement community! This legislation makes it very clear to Ohio’s law-abiding citizens that Ohio has their backs if they are ever forced to use a firearm to defend themselves from criminal attack. This legislation also makes it very clear to Ohio’s criminal element that the days of Ohio’s laws favoring the criminal are over. With 32 states already recognizing the law-abiding citizen’s right to Stand-Your-Ground against criminal attack, it is time to add Ohio as the 33rd! We wanted you to have these facts because they will be useful in the days and weeks ahead. We will be putting out action items for you to get personally involved in this fight in the coming days, so stay tuned! In the meantime, please join with Ohio Gun Owners if you are not already a member! If you are, please consider an additional contribution to this effort as we work to mobilize gun owners across the state to join us in this fight. Stand-Your-Ground law is on the move in the Ohio Legislature!